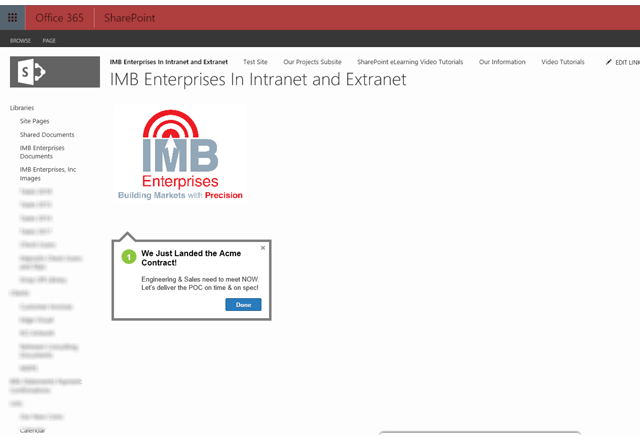 How would you like to let EVERYONE at your organization use your SharePoint, or SharePoint online intranet home page to see a very important announcement? 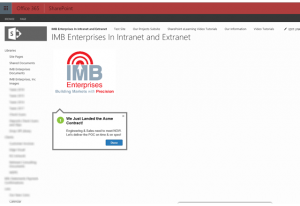 Now you can with VisualSP’s Walkthrough Builder for SharePoint on-premises and SharePoint Online, Office 365. Personnel do not need to click on anything to get your message. Autoshow on Load feature allows you to schedule your notices. Contact us for more information: +01-631-673-2929, or Use the email button to send us an email at “sales@imbenterprises.com”.